There was a Priest, a Rabbi, and an Iman...From hot topic Inter-faith Understanding. This resource talks about compassion, inter-faith, tradition, collaboration. 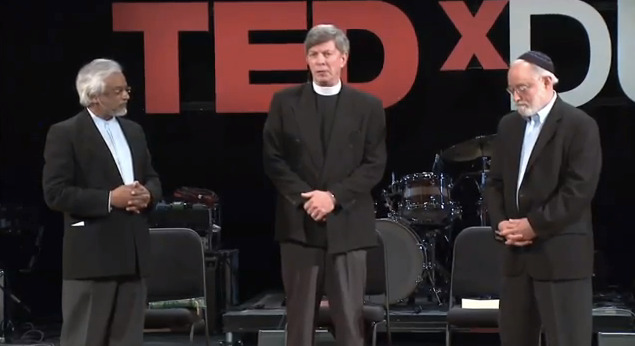 TEDxDU's theme of "Radical Collaboration" is personified in Rabbi Ted Falcon, Pastor Don Mackenzie, and Imam Jamal Rahman - collectively known as The Interfaith Amigos. In a time when religion appears to be at the heart of fragmentation, suspicion and conflict, their friendship is a beacon to a wiser, more compassionate, and hopeful path.